Xavier and D. Watkins in the studio. 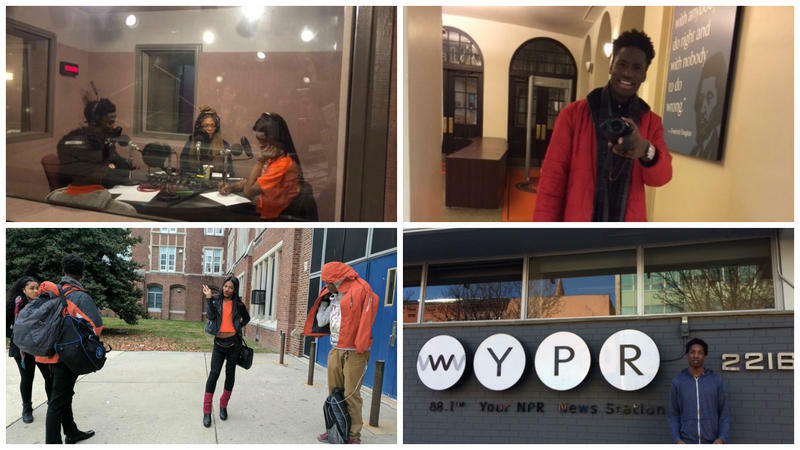 For our final More Than Words story, Xavier started out interested in how activists in Baltimore see their work in the city as connected to and inspired by Civil Rights struggles of the past. As he researched and conducted interviews for this piece, he found writing to be an overlooked form of activism and decided to sit down with one of his favorite authors, D. Watkins. Xavier read The Beast Side in an English course and met Watkins at a Baltimore City Public Schools event. He was excited for the chance to sit down with Watkins. Listen to the first four episodes, uninterrupted. First up-Deneira moderated a discussion with her co-reporters about adults’ perceptions of youth. The students had an honest and lively discussion about their experiences being stereotyped and how they feel adults could be more understanding and helpful to young people. 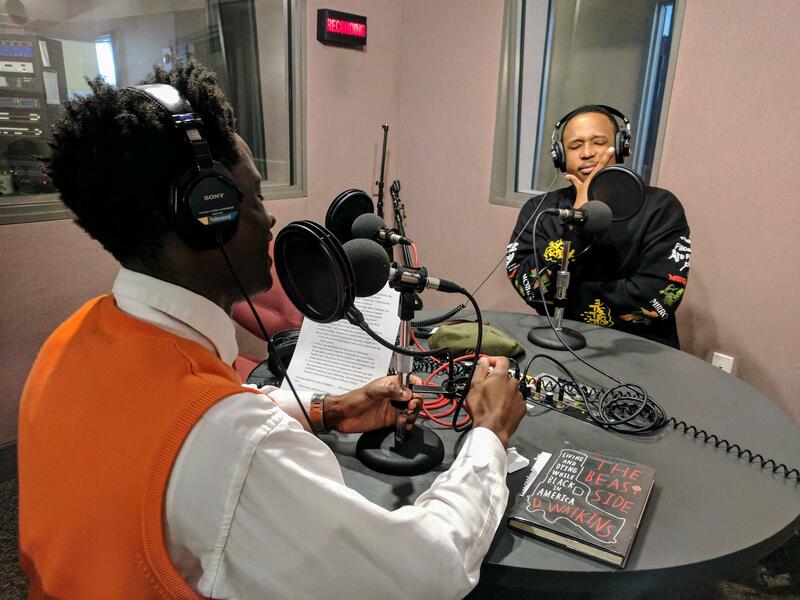 6:55-Xavier shares his connection to an issue all too common in Baltimore City--gun violence. 12:48-Chanel produced and narrated a radio diary about her identity as a gender non-conformist. Chanel, who also goes by Cory, is committed to dispelling stereotypes about gender identity and expression. 23:40-Miles takes us on a journey through his experience of mentorship.